Insulators in power systems are used for carrying transmission line conductors. They are responsible for providing mechanical support as well as electrical insulation to the conductors. 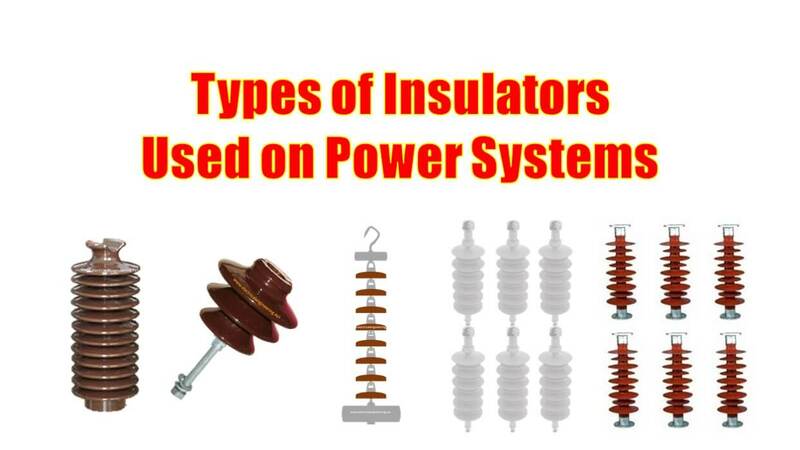 Given below are the 5 types of insulators employed on power transmission lines. 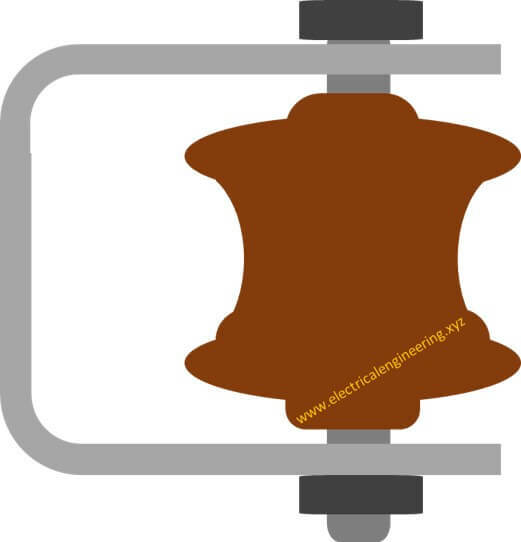 Pin Type insulators have a metal pin bolted directly above the cross arm of transmission lines. The groove on the top side of conductor houses the conductor. The conductor is tied to this groove using an annealed wire. For lower voltages such as 11 kV, a one-piece insulator is used. Higher voltages of 22 – 46 kV utilize two pieces are, 46 – 69 kV involve three pieces 69 – 88 kV involves four pieces. 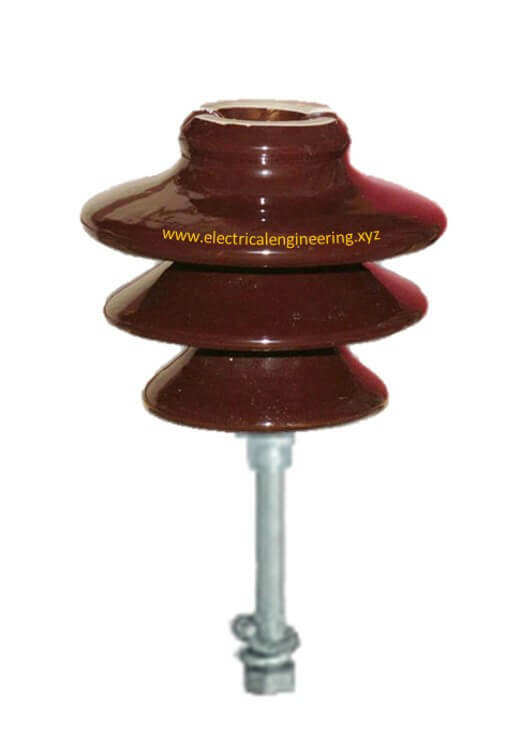 Pin Insulators are generally preferred for LV circuits such as 11, 33 kV. Post type insulator is a single piece of porcelain unit. Such insulators are often employed on distribution and transmission systems. They are also popular in substations for insulation purposes. The insulator is suspended from cross arm from its top side. The conductor is fastened to the lower end of the string. Suspension insulator involves a number of discs that are interlinked together. Usually, the discs are designed for 11-22 kV. A 69 kV system uses 4 or 5 discs, while a 115 kV system uses 7 or 8 discs. A 138 kV system uses 8-10 discs a 345 kV system uses 15 – 18 discs while 500 and 765 kV systems use 30 – 35 discs. The porcelain material is connected to D strap (light gray) by passing a bolt (dark gray) through the insulator. The D-strap connects to the transmission tower. The conductor is fastened to the insulator via a soft wire. The term strain insulator is used as known, technically it is a verb representing the special configuration of other insulators. Whenever there is a corner nook or a sharp end the suspension insulator is rotated to some angle for reducing the tension line. In such configuration, the name strain is used.